I will never forget the first time I watched a patient with Alzheimer’s come to life again. 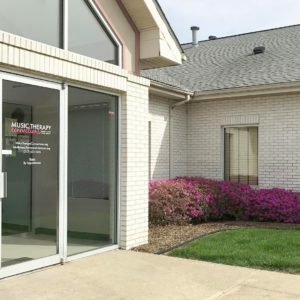 I was in a music therapy practicum and providing group music therapy services to a group of older adults with varying states of awareness in a residential home. Many of these residents had some form of dementia. One particular resident often enjoyed music therapy by looking downward toward the floor, and when asked, rarely recalled her own name. That is, until the day we brought in “Take Me Out to the Ballgame”. It was like someone lit a candle within her and the light and warmth swelled up in her. She straightened her back, lifted her head, and look straight at me before taking a deep breath and singing every single word. I was taken aback. I couldn’t bring myself to stop playing, so I kept going back to the beginning again and again to hear her wise voice sing yet another time. When we finally cadenced, I expected her to sink back into herself and retreat again, but that is not what happened. For a few moments she was present as she told an elaborate story of playing ball with her brothers. She recalled her hometown, her brothers’ names, and the great details of the trouble they got into together. She belly laughed and smiled for a short while before retreating again. That day, I left knowing that we gave her a great gift. For a short while she wasn’t another resident, she was herself again. Music therapy is a great resource for individuals and families suffering with dementia and Alzheimer’s disease. 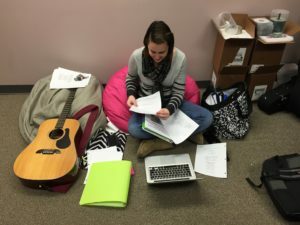 Music therapists use techniques alongside client-preferred music to encourage vocalizing, verbalizing, eye contact, social interaction, orientation to time and their environment. In addition, specific groups can be organized to help support residents who experience sundowning. Sundowning occurs when residents experience a higher severity of symptoms and confusion later in the day. In this video, a music therapy student describes a study she conducted on patients’ experience in mid to late stages of Alzheimer’s and dementia, and the effect music therapy had on varying quality of life measurements. Watch the video to see her findings. 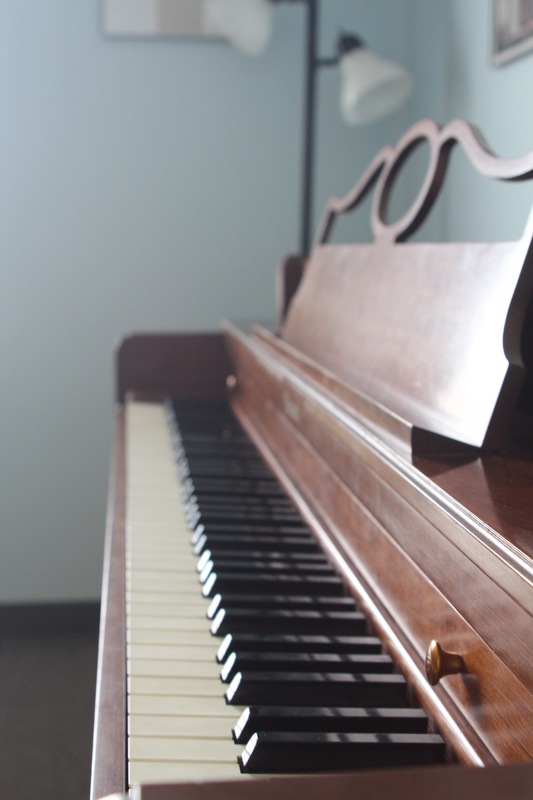 Here at Music Therapy Connections, our therapists provide therapeutic support for families and music therapy for individuals suffering with dementia or Alzheimer’s and its effects on their lives. 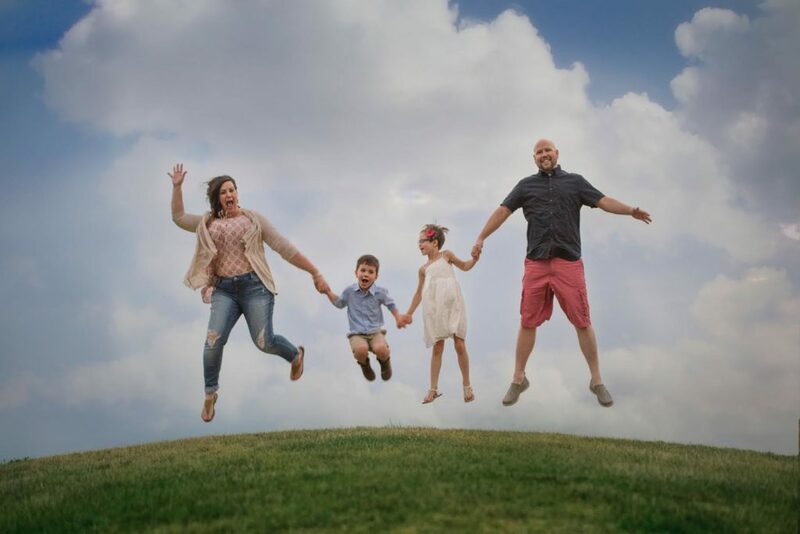 Our primary objective is to improve every individuals quality of life and provide them with an opportunity to express themselves regardless of their diagnosis or any other barriers. 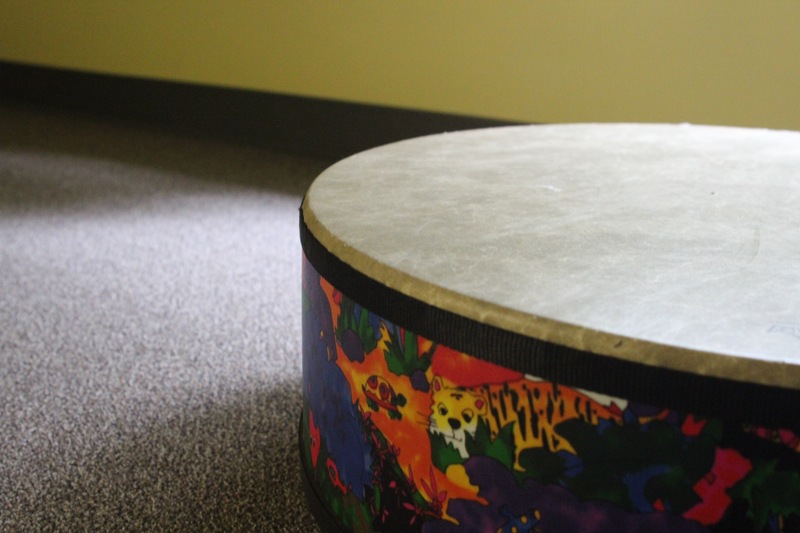 If you know someone who would benefit from music therapy services you can register them below or email us at info@musictherapyconnections.org. Approximately 100 million Americans will suffer from chronic pain this year. That is compared to 25.8 million Americans who will suffer from Diabetes, 16.3 million Americans with Coronary Heart Disease, 7.0 million who will incur a stroke, and 11.9 million who will be diagnosed with Cancer (American Academy of Pain Medicine). The incidence of chronic pain is astronomical. You may be wondering, what is chronic pain? Chronic pain is any pain that lasts more than 12 weeks. Chronic pain may have an injury or cause associated like herniated or slipped spinal discs, major bodily injuries injuring nerves or nervous system responses, fibromyalgia, or they can have no apparent cause at all. What are the common effects of chronic pain? The most common effects of chronic pain include “fatigue, sleep disturbance, decreased appetite, and mood changes… reduced flexibility, strength, and stamina” which occur alongside the chronic pain and often lead to anxiety, depression, isolation, and senses of helplessness (Medline Plus). This is my story, and how I am overcoming my chronic pain every day. I was a 22 when I was diagnosed with my first slipped spinal disc. It was a lower back injury and very common. I sought some support from a chiropractor which alleviated much of my pain for the time being. When I was 23 I was diagnosed with my second slipped spinal disc, this time it was an upper back (cervical) injury. The pain was significantly worse and this time I tried medication. The muscle relaxers would help me sleep at night, but I hated the idea that I might need them long term, so I tried Physical Therapy. PT was a great therapeutic tool for me in reducing and managing my pain. One month after I received my second diagnosis of a slipped spinal disc I saw my physician for my regular appointment. For all of my life I have struggled with severe gut pain, food aversions, joint pain throughout my body and other minor health issues. In light of my pain, my physician started looking at the bigger picture and found that my body was working against me, instead of with me and she said the words “auto-immune disease”. Understanding what triggered me- some of my pain triggers are weather related, but I noticed that I was often pushing my body too hard and creating injury on top of injury. I learned to give myself permission to step back and say no, not yet or no, not today. Safe, No Judgement Strength Building- My pain had made me almost entirely sedentary. By the time I had finished work I could barely move and would have shooting pains throughout my legs, back, arms, neck, and stiffness in my hands and feet. I started small. I walked around the block one time, then twice, then I jogged, then I ran. This momentum led to biking, and now I lift weights- yes weights! When I lost muscle tone it was difficult to do anything. Now I have the strength to safely lift and carry my groceries without causing nerve and joint pain. Openness to treatments- Try diet modification, massages, essential oils, light exercise, chiropractic care, physical therapy, music therapy, try everything! See what works and what makes you feel even the slightest bit better and continue with those things. Using My Coping Skills- This is where things started to shift. I noticed that after 6 months my pain was decreasing and becoming much more manageable, but there was something that felt looming over my health journey- my mental health. I, like many people, have always struggled with anxiety and managing that can be very difficult. When I feel it becoming overwhelming I use a few simple coping skills. I like to meditate, read, retreat from social environments for a short time, or call someone I trust and love. These things decrease the weight of my stress and help fight loneliness and despair. Taking Care of Myself- Practice self love! You only have one body, so many days, and so many nights. At one point I had to choose whether I wanted to hate the body I was given and the pain it causes, or whether I was going to love the body I was given and the days and moments it gives me. We aren’t given many choices in life, but this one is yours! I Gave Myself the Gift of Patience- This was the hardest part. At one point I remember crying as I was talking with my husband on the phone saying “Im doing everything right I just want the pain to be gone and be done with it”. Healing doesn’t happen immediately, or steadily. It doesn’t always move forward, sometimes we backslide. This one was the toughest: though it may decrease, it may never be completely gone from my life. I had to learn the hard way to give myself and my body patience. No expectations. Every minute with no pain is a gift and every day is still a good day, because my pain can’t take that from me. In January of 2015 my pain was almost unbearable. I could barely make it through a work day without crying. Now I would say 6/7 days are good days with minimal and manageable pain. I feel like I took my life back. Over time I modified my diet, started taking multivitamins, started walking, then running, then biking, and finally, I got a gym membership. I get massages when I can to reduce the tension I am placing on my body. But most importantly, I started taking care of my mental health. 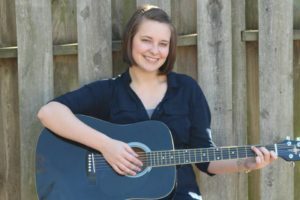 I was able to use some of my favorite music therapy techniques to help myself in my own time of need during this difficult journey and what a difference it made! 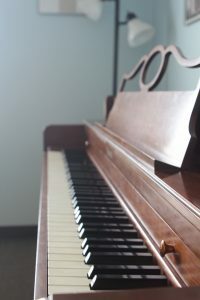 I specifically use relaxation, meditation, and song analysis techniques to create a sense of peace and comfort where I may not have that otherwise. As a music therapist I tailor our therapeutic services to each individual’s particular background and ever-changing and varying needs. These are just some techniques shown to help those with chronic pain. Music Assisted Relaxation- A relaxation technique used to engage and relax the mind. Progressive Muscle Relaxation- A relaxation technique used to isolate muscles and relax them independently. Song Analysis- In this technique we break down a given song and discuss some of its inner workings to process it more deeply. Development of Coping Skills- This is wide reaching and often addressed throughout sessions. Coping skills are essential to processing the world around us without feeling overwhelmed. 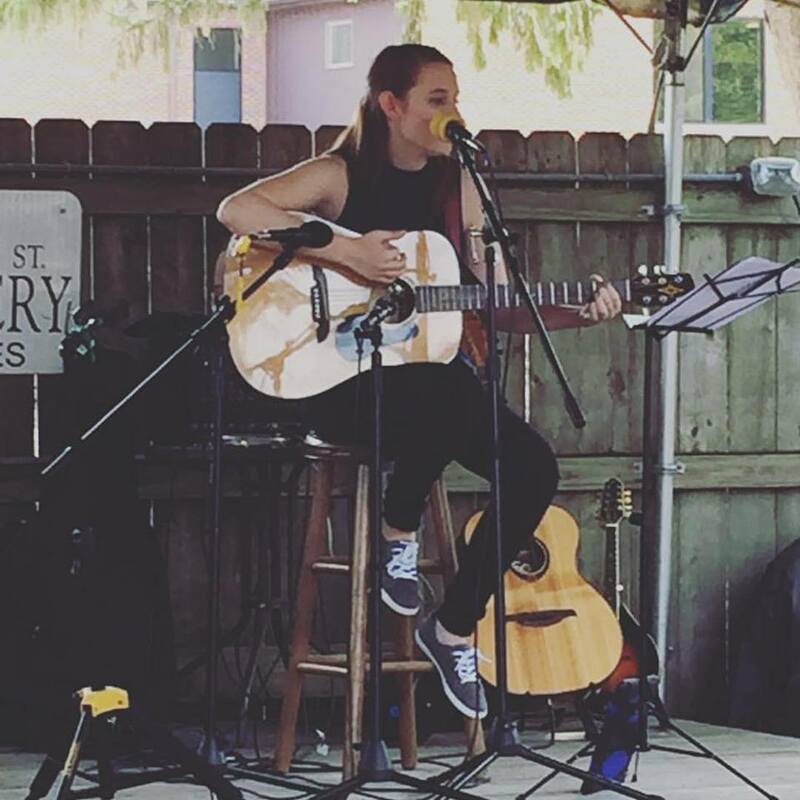 Songwriting- Writing ones own song is a detailed act of self-expression. With the support of the therapist clients can write and even record their own songs. 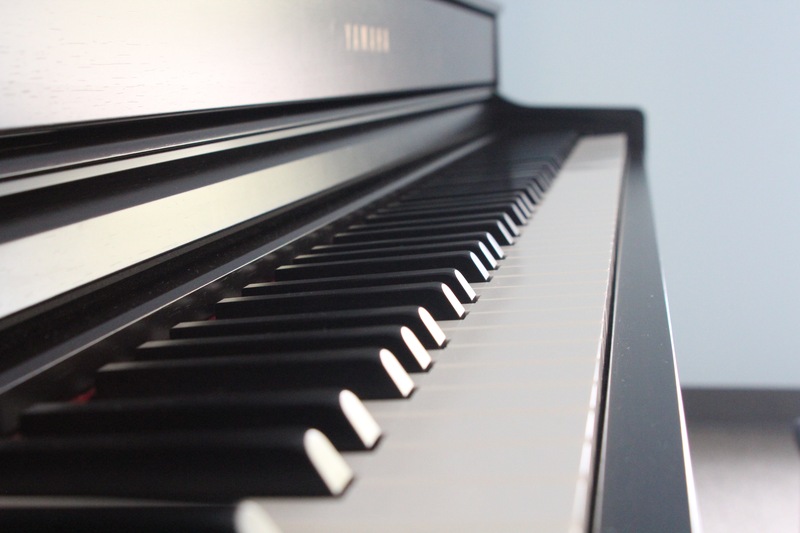 If you or someone you know suffers from chronic pain and may benefit from music therapy services please send them a link to this blog post or register below. What Can A Studio Do For Me? If you’re asking this question, then you’re in the right place! 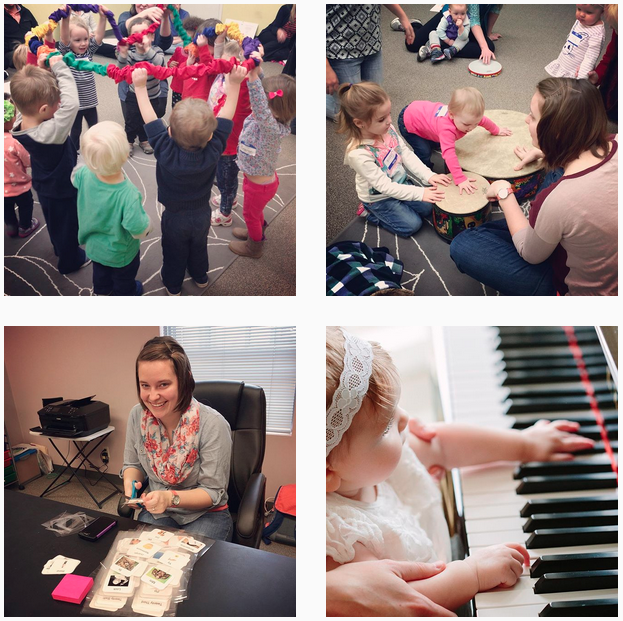 First, let’s chat about the difference between a studio and individual lesson providers. 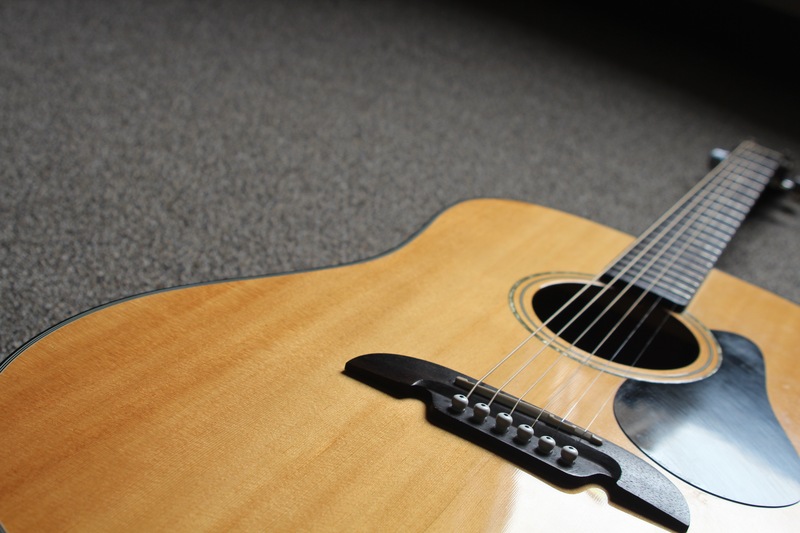 Individual providers offer lessons, often out of a small location or home studio, to developing musicians studying one or more instruments. 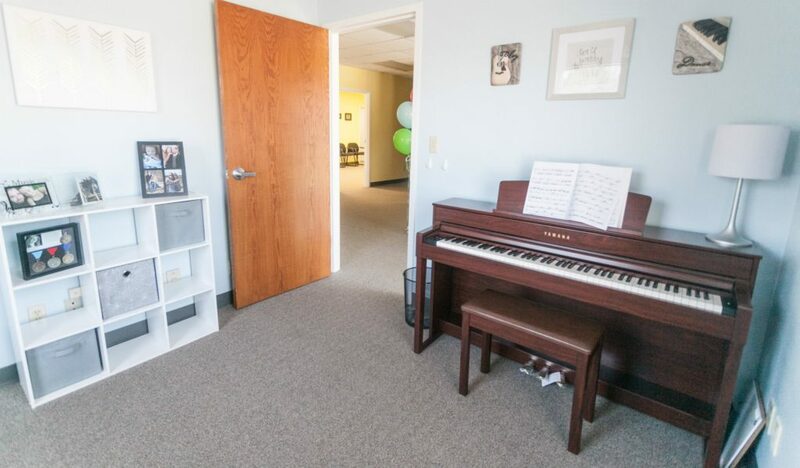 Whereas a studio, like Music Therapy Connections offers lessons from many teachers with different backgrounds, specialties, and instrumental experience. 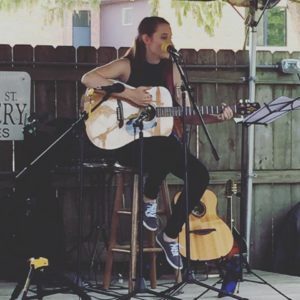 Because we have so many fantastic teachers, we are able to offer ukulele, voice, piano, and guitar lessons ranging from traditional and classical to nontraditional lessons and all along that spectrum. We love that we can talk with a new student and find his or her right “fit”. We want our students to work with a teacher who best suits their needs, style, and goals. As students grow and develop, they sometimes benefit from a new teacher, either for a fresh start or a new challenge. What is most wonderful is that our students at MTC have options! We are a team at Music Therapy Connections, and more than anything we hope to instill the love of music into the lives of the people of Springfield and beyond! Do you know someone who would benefit from an individualized lesson teacher? Register below! I had originally planned to write about something entirely different… until I woke up this morning. I heard the news about the tragedy in Las Vegas and my heart broke. After seeing the news on my phone, I noticed the time and that I had to leave soon. I made my tea and left for the gym as I always do on Mondays. I started on the treadmill, eyes glued to the live coverage in front of me. When my time was up at 8:30, I left for work. 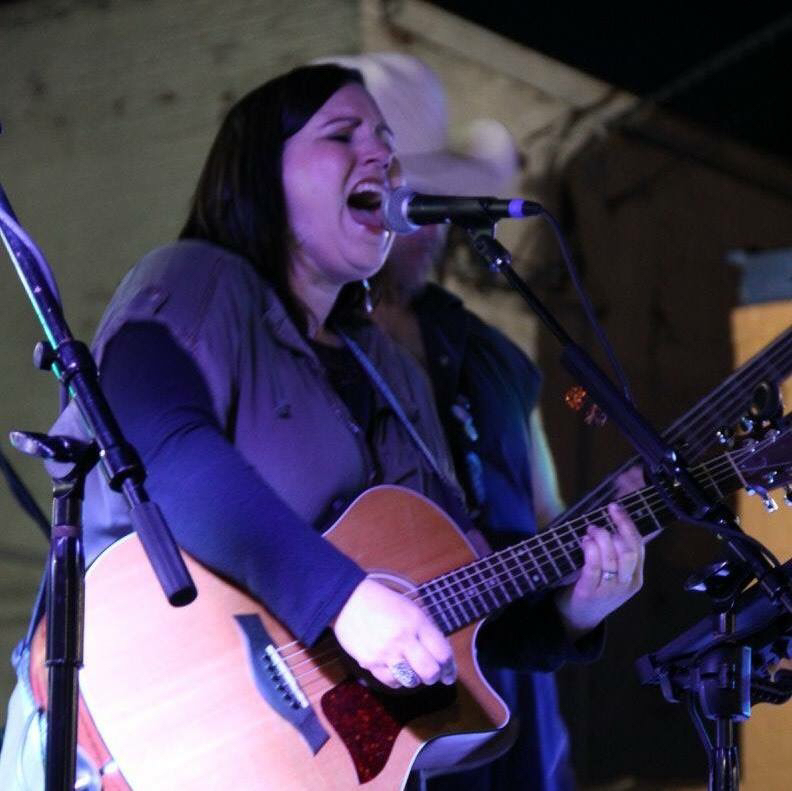 As most of us do, I felt stoic, overwhelmed, and deeply saddened by the happenings in Vegas but when I arrived at my first classroom, my first set of clients, my first room of people we made music together. It was fun; we laughed, redirected behavior, and laughed some more. Then at the end of that session, an adult and fellow professional in the room simply said “thank you for music”. That was it. What can I do? I can make more music. I need to make more music. Not because we should, but because we must.